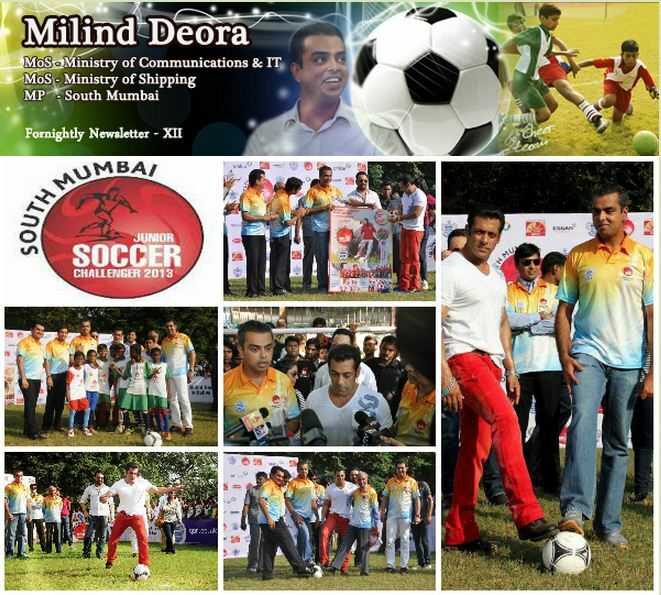 Bollywood celebrity Salman Khan commemorated the 5th South Mumbai-Milind Deora Junior Soccer Challenger at the Western Railway ground in Lower Parel on 18th October, 2013. The challenger, inducted in 2009, was organized in association with English football club Queens Park Rangers (QPR) and is the brainchild of South Mumbai MP Milind Deora, himself an avid soccer enthusiast. 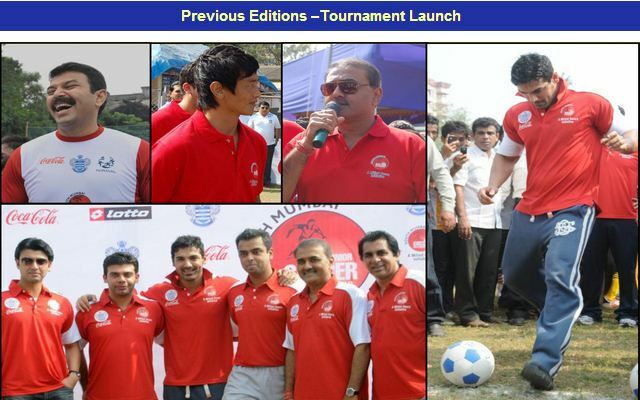 Along with Milind Deora and Aditya Mittal, son of QPR owner Lakshmi Mittal, Salman Khan kick started the knockout phase of this Championship of the 5thedition and also commemorated the 5th edition of the event. 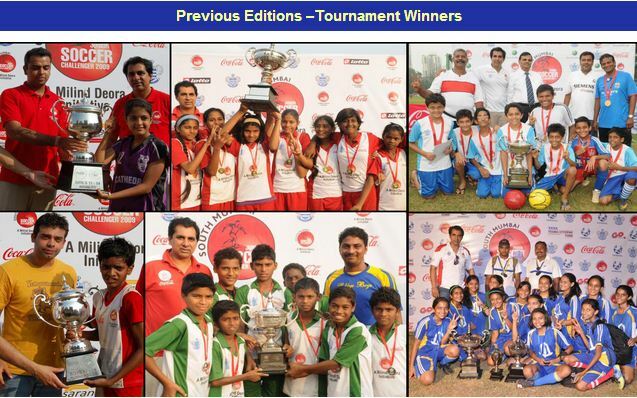 This year, in its fifth consecutive edition, it witnessed over 5000 children participating from 137 schools, including municipal and government aided ones, making it India’s largest and longest running community football tournament. Participation has been increasing over the years, progressively and inclusively, with even municipal schoolchildren and schoolgirls showing great interest. The Challenger will also serve as a annual talent hunt as 30 talented youngsters will be shortlisted for a coaching clinic or camp (both are fine) that will be conducted exclusively by the Queens Park Rangers (QPR) coaching teams from UK who shall be coming down in the month of December 2013. Like each year from this training camp, the two most talented youngsters will then be selected for a three week long training stint at the Queens Park Rangers in-house academy in London. QPR’s head of community program, Mr. Andy Evans appreciated the success of their four-year long association with the Soccer Challenger and even said, “I am sure we would find some serious talent here who might play for India or even in the English Leagues.” As yet in the past four years as many as seven children have participated in these coaching programmes at the QPR Youth Academy in London. 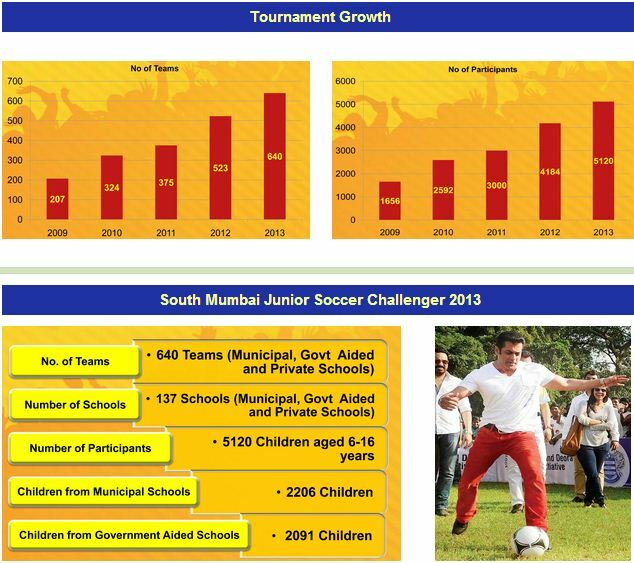 As a consequence of the 2012 soccer challenger, five South Mumbai boys (Children selected in years 2010-2011-2012) had gone to London in April-May 2013 for a rigorous program of three weeks. 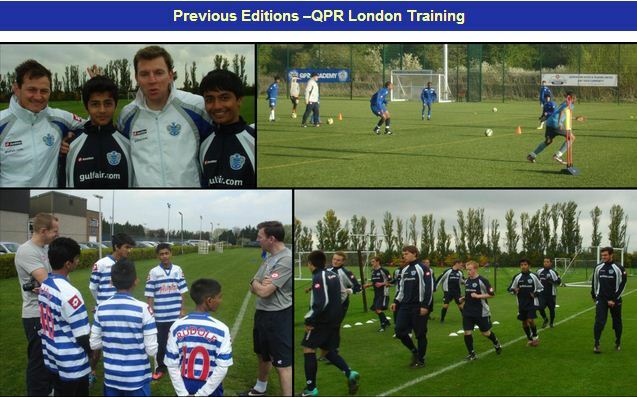 They received thorough and intensive coaching from the QPR coaches and also had the opportunity to meet renowned football and managers and players, including David Beckham. The boys, Rudolf D’Souza, Arfat Ansari, Tanaay Shah, Uzair Ansari, and Praful Kumar, were able to gain greatly from the experience, which has given them new skills and techniques as well as fresh perspectives and insights. This tournament is organized by Milind Deora Initiative and English Football Club Queens Park Rangers (QPR), in association with Aditya Birla Nuvo and Omkar Realtors and Developers, and is managed by Saran Sports. It serves to support and encourage the discovery and demonstration of soccer talent in Mumbai. Milind Deora also hopes that this initiative will provide the necessary infrastructure for football enthusiasts and help coaches identify talent for the growth and development of this sport in India.